It&apos;s the last weekend to experience Shakespeare&apos;s Henry V outdoors and under the stars! Bring your own blankets, lawn chairs and picnic supper and enjoy Delaware Shakespeare’s presentation of Henry V - the ultimate against-all-odds victory story. 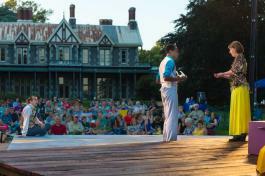 Wednesday thru Saturday: Gates open at 6:15pm for picnics, show begins at 7:30pm. Sunday: Gates open at 4:45pm for picnics, show begins at 6:00pm. General Admission tickets are $18. 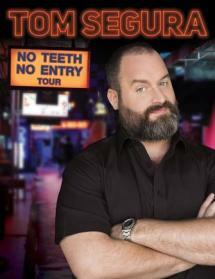 Well known for his Netflix specials, Completely Normal and Mostly Stories, comedian Tom Segura comes to #VisitWilm on Friday at the Playhouse on Rodney Square! Segura has been a regular guest on some of the most downloaded podcasts in the world of comedy such as The Joe Rogan Experience and WTF with Marc Maron, among others. Additionally, his noted podcast, Your Mom&apos;s House, which he co-hosts with his wife, comedian Christina Pazsitzky, was a finalist for Best Comedy Podcast at the Stitcher Awards and profiled by VICE. Show begins at 8pm. Tickets are still available: $32-$65. Whether it’s for a wedding, birthday, anniversary, house warming present or special thank you, locally-made designer craft is a great gift with a story that is sure to make someone happy. The Pennsylvania Guild of Craftsmen celebrates its 9th anniversary as the Brandywine Valley’s largest premier fine craft fair featuring more than 100 independent local and regional craft artists! Loyal art patrons and craft collectors from around the region descend on Wilmington&apos;s Chase Center on The Riverfront, in search of invigorating contemporary and heritage fine crafts. The fair features thousands of designs from independent American artists including furniture, clothing, jewelry, sculpture and fine art. Admission: $8 adults, children under 17 are free.